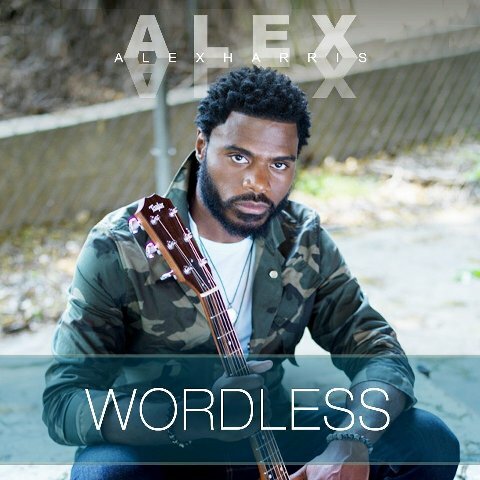 R&B-Soul recording artist ALEX HARRIS releases the music video to his new single, “WORDLESS“. The soulful singer is beyond excited to share the visuals to the already chart-topping single via his youtube channel, Alex Harris Official. The powerful music video was directed by Marc Diamond, while the song was written by Alex Harris and Sam Ashworth and produced by Alonzo “Zo” Harris and Alex Harris. “I wrote this song thinking about how often in my efforts to be connected with my friends, family, girlfriend through social media and texting, I miss out on the opportunity of being present or disconnect from moment of ‘NOW’; In essence, I’m devaluing the humanness of humanity,” mentions Alex. ALEX HARRIS a Soul/R&B vocalist and actor is no stranger to the entertainment scene. Having started his entertainment career at the tender age of 7 years old, he toured throughout the southeast region with his siblings. ALEX HARRIS has a growing following world-wide because of his #1 hit singles, “Hope for Us” and #1 hit “Love Line”, Top 20 Billboard success, “Don’t Walk Away”, with his brothers, A7, and his electrifying soulful and engaging performances. His polished lyrical styling and dynamic energy is a breath of fresh air with a very earthy twist that transcends multiple audiences everywhere he performs including 2 of the Presidential Inaugural Galas, Premier of Bermuda Gala, Premier of Ireland Gala and many other prestigious galas, schools, colleges, corporate events, and festivals world-wide. ALEX HARRIS has not only headlined his own shows, but has graced stages with entertainers and actors, such as Al Green, Bobby Rush, Eric Benet, John Legend, Kirk Franklin, Lamman Rucker, Leon and many others.